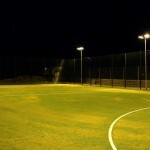 Sand dressed artificial grass pitches provide excellent performance characteristics for hockey as the short pile height allows the ball to glide smoothly across the surface. 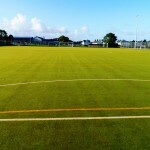 If you’re looking to have a 2G synthetic turf sports pitch built for hockey, it’s important to choose the best sand dressed surfacing contractors to ensure the final product is great quality and safe for those who use it. 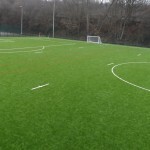 As we are specialist sand dressed surface contractors with a wealth of experience in the sport surfacing industry, we can provide you with the best 2G artificial hockey pitch products and services at great value prices which fit within a range of budgets. Please contact our team to discuss this work in more detail, you can simply fill in the enquiry form on this page.